The Mobility Radeon X3870 X2 combines two Mobility Radeon 3870 graphics cards (on MXM boards) onto one laptop in Crossfire (CF) mode. Therefore, the combination has a power consumption of roughly both cards combined. While the total available VRAM has been doubled, the effective VRAM is actually half of the combined total as each card must store the same textures and data onto their own respective onboard VRAM chips. Depending on the application, the performance of the Radeon X3870 X2 about 0-40 percent above a single Mobility HD 3870 and is even a bit above the GeForce 8800M GTX SLI solution. Most, if not all, DirectX 9 games can run fluently in high resolutions and detail settings. More demanding DirectX 10 games, such as Crysis, will only run acceptably well on medium to high detail settings with lowered resolutions. As with all multi-GPU solutions, the HD 3870 X2 may suffer from a phenomenon known as micro stuttering. See here for an overview of the term and why it happens. Hardware features that can be found on a single Mobility HD 3870 have been preserved in the Crossfire combination. As a result, the dual GPU setup can take advantage of Avivo HD in order to aid the CPU in decoding videos. The power consumption of the Mobility 3870 X2 can be up to 110 Watt when including the MXM boards and VRAM chips. 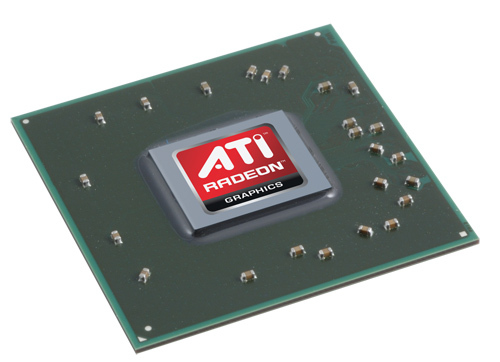 AMD specifies that the HD 3800 series can draw up to 33-55 Watt per card.